I'm going to admit I've been using dating related apps for quite sometimes. I've used Hot Or Not, MyYearBook (you already know I've been playing this game for years because they no longer go by that name lmao), and recently Tinder. I've been trying my best to avoid Tinder for a long time as when it came to Tinder; I was utterly nervous to use it due to some stories I've heard about it being used mainly for hook-up and meeting unneeded creeps. I didn't want to experience such terror or revolt that I just wanted to stay away from using that app as possible. But one day my coworker was raving about the app and how she met this guy that she was interested in for once. I was always intrigued by the stories she told about tinder and what she encountered, but I became fully grasped in her hand when she mentioned an actual guy that might work. I wanted to know more; Whether he was cute in person like the six pictures he chose for his profile, Does he have a spunky personality like his bio, and is he actually real?! To our surprise, he was how he described himself! A few weeks later, they're together. She'd tell me stories about how they're doing, and all the cute things he has done for her and each story she said, the more my heart yearned for that. That's where my interest in Tinder started to grow. Seeing them bloom into an actual loving relationship made my fascination for Tinder grew more and more; that the thought of getting the app began to appear in my head. I didn't want a simple plate of waiting with a little seasoning of hope here and there; I wanted a whole buffet of love! 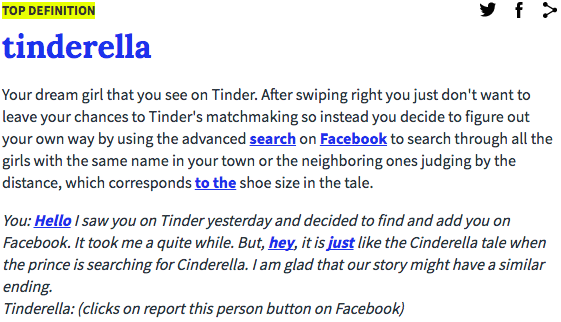 I wanted to know more about Tinder and how it works so that I could have a chance at finding romance. On April 10th, almost like a month after getting rid of Tinder, I received a message on Instagram asking if I'd like to go out on a date from a guy. 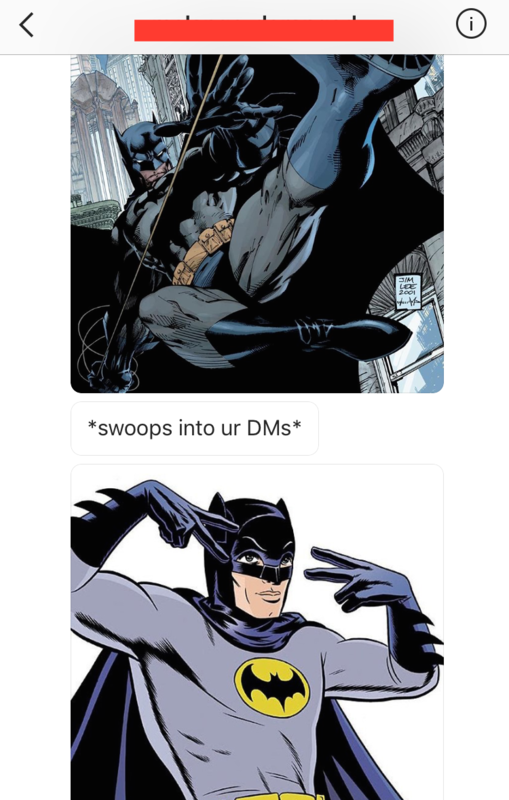 This guy just swooped into my DM on Instagram asking if I'd like to go out with him, he literally swooped in my DM. 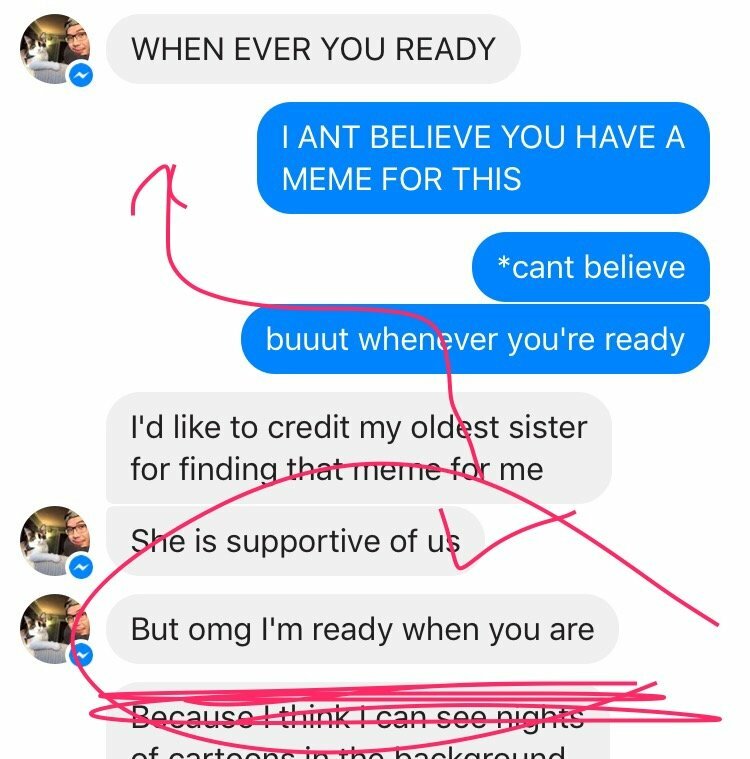 I seriously forgot about messaging him first on Tinder and was blown away by the fact that he went out of his way to message me on my social media, and using a clever meme. 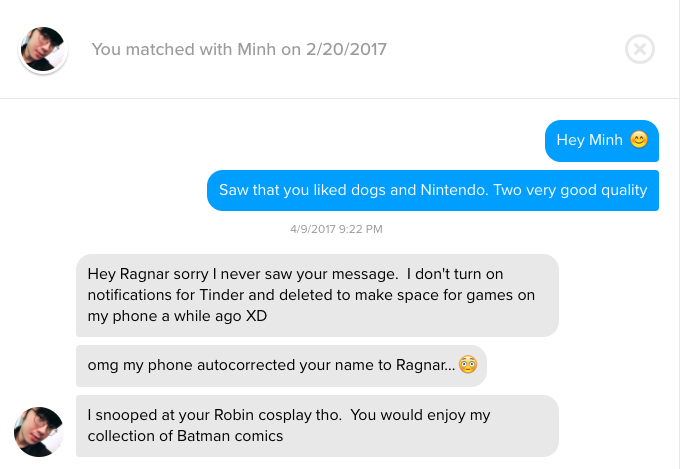 I knew I was Tinderella now because He took the initiative and made sure I got his response back. I don't know what made him decide to reach out to me on Instagram and he doesn't know either, but I'm happy that he did as he been the greatest thing that ever came. 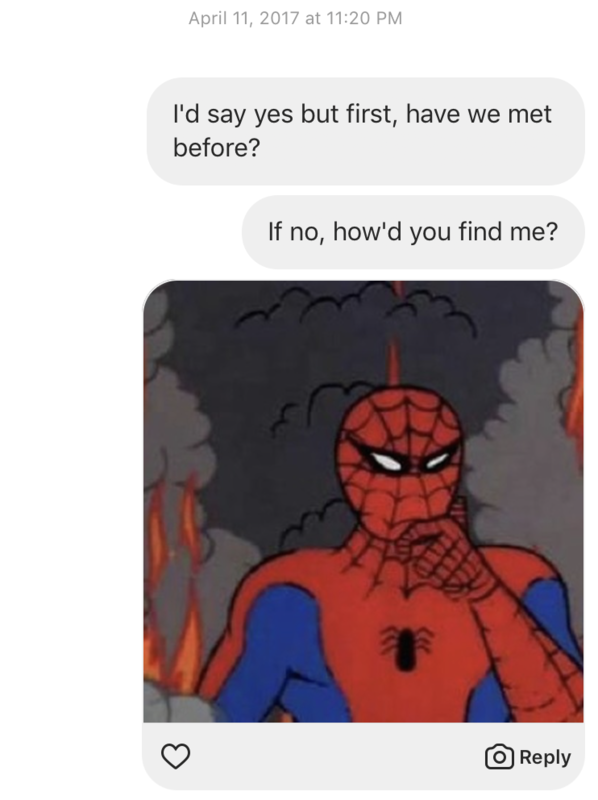 Meeting Tinder Guy for the first time was a bit terrifying as I was still haunted by all the stories I read/heard from others, so I was trying my bests to dodge that everytime he asked to hang out. But the more we kept messaging, the more I became interested in meeting him, So we made a plan for me to meet him at his work which was Family owned Pizza Shop and wait for him to finish his shift. This was perfect as if he isn't him, I can quickly leave as he'll be busy working and if it is him, I can just wait. To our luck, he was who he said he was! 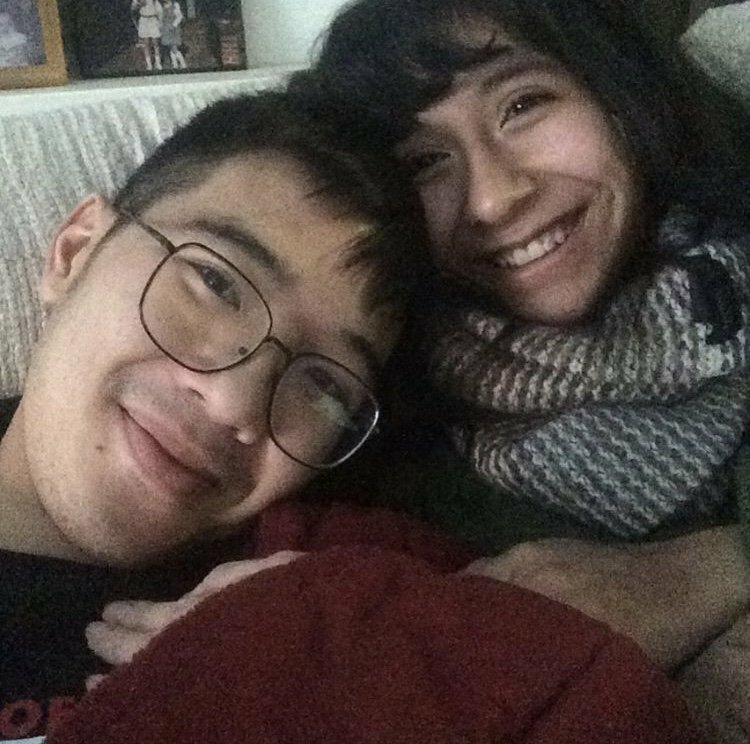 Since we first met, we kept hanging out frequently until the point where true feelings were starting to form, and he finally asked me to be his girlfriend. 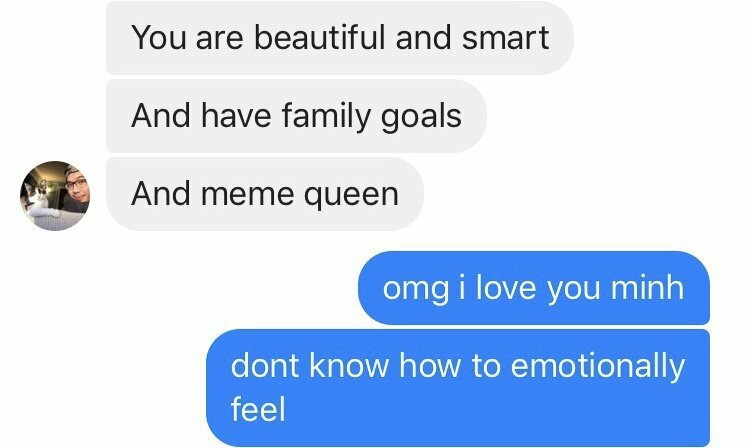 How can you not grow feelings for someone who'd say such a romantic thing to you? 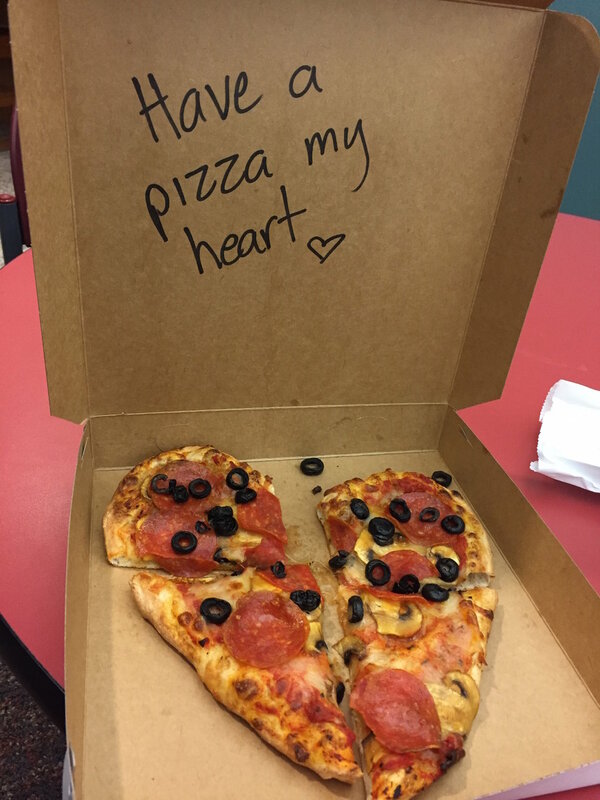 But the moment that I locked me in was when he came to my work one day with a hand-made pizza saying "Will You Have a Pizza My Heart." I couldn't believe that someone would make such a sweet gesture. At that moment, I knew I was madly in love with him. You guys, my coworker and I went wild when I brought the pizza into the back room as they couldn't believe it either that he did that. I wanted everyone know about him and that we were together ever since the pizza surprise but the problem was, how do I tell people I met my boo on tinder? Only very few people knew that we met through Tinder and that was primarily my coworkers. I was so scared with what people would think of us meeting from Tinder that we came up with a made up story about how we "met" at our university library one day because we both had a similar interest in a book and instantly hit it off. That would've been an adorable story if that is what happened, but no. I told friends and families this story whenever they asked about us because I was worried about the comments they'd make or their disapproval for using such app. But as time went on and the longer we've been together, I come to realize that Tinder isn't taboo like I thought it was in the beginning. It's a more accessible way for people to find people in their area and not need to approach someone until they're ready. If you're like me who gets way too anxious to approach a person and try to flirt, then tinder is an excellent way to talk to people as I never would've had the courage to contact any of the guys I spoke to on this app. Realizing this, It has become easier to tell people how I really met my boyfriend, which was through Tinder. I come to embrace the app and it quirky quality. While there might be some people who use Tinder only for hook-ups, there are also good guys on there wanting to find actual romance. I highly recommend Tinder to anyone wishing to find there prince charming, as I did.